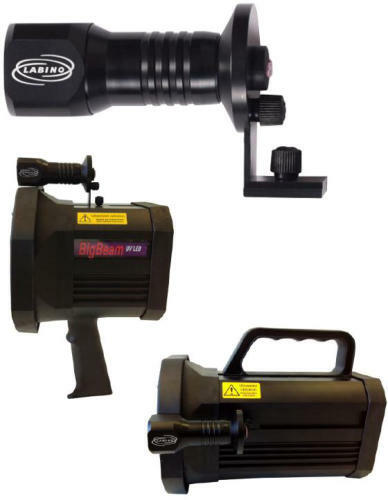 Labino Standard MPXL 35W UV Lights (135 Series & TrAc Series) used for many applications including NDT inspections, Leak Testing, Crime Scene Investigation (forensics) and many many more. 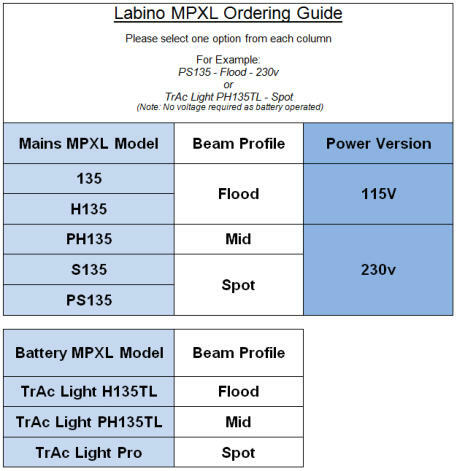 Labino Standard MPXL 35W UV Lights - Mains & Portable The Labino Standard MPXL Ultraviolet UV Inspection Lights offer many advantages over previous technology. 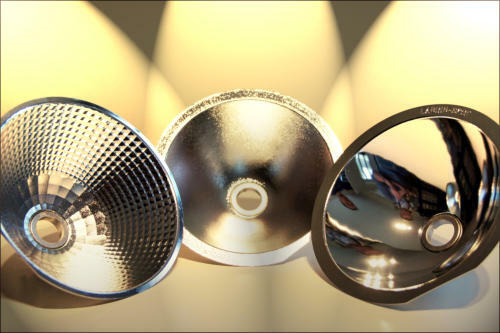 Using a new type of low wattage bulb, they produce a higher UV output - yet generate little heat. 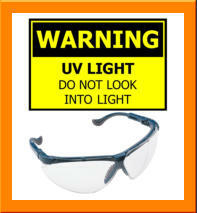 This means that these black lights are safe to use in dark areas as they stay cool without the need for inbuilt fans which draw dirt into the lights. The Labino Standard MPXL ultra violet lights are sealed to IP65 allowing them to be safely splashed with water in Penetrant wash areas. 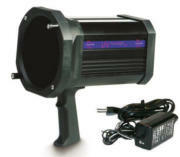 Various styles of lamps are available operating from either mains or battery power supplies. Full UV intensity (4000 - 45,000µW/cm2, beam dependant) is achieved after about 5-15 seconds from start up, and can be powered down and restarted immediately with no wait times. The Labino MPXL series of UV lamps produce very high UV light intensities, creating extreme excitation of fluorescent material, which makes it possible to see things, in daylight and at great distances, that was impossible with former technology. 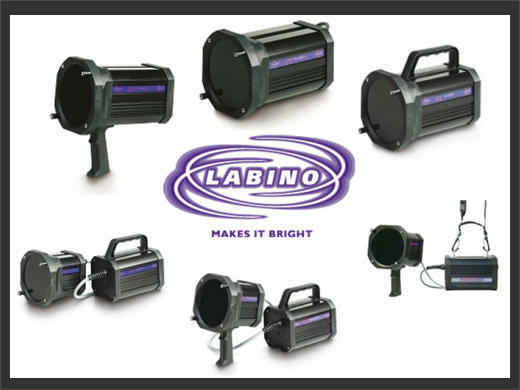 Unaffected by surrounding magnetic fields and sealed to IP65 standards, in rugged aluminium housings, the Labino UV lights are designed for the industries where they are used. 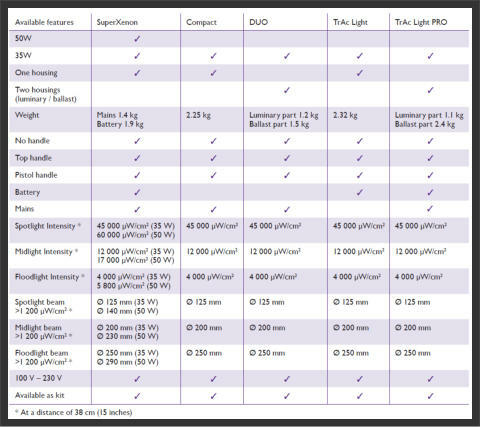 Different beam profiles - Floodlight, Midlight or Spotlight. 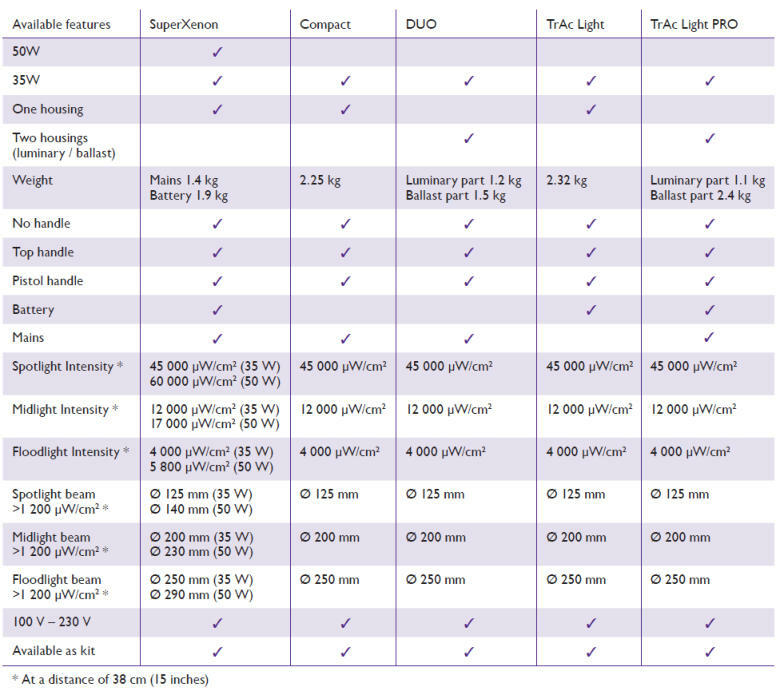 (see below) Different case styles - To suit differing inspection requirements. (see below) The choice of a model depends on the conditions under which an operator is using these lamps. Does an inspection need to cover small or large areas? 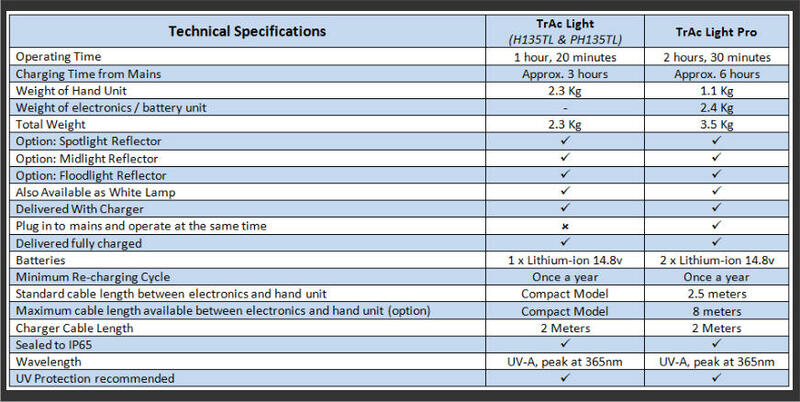 Does it involve difficult structures and therefore a lighter or more compact lamp is required? 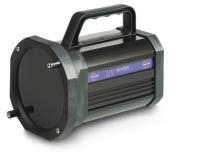 Do they simply need more output power or less power can suffice? We can accommodate all needs! Midlight • Distribution angle (beam) 20° • Intensity = >12,000 μW/cm2 (120W/m2) • Beam Ø >1,200µw/cm² = 200mm • Visible Light = 3 Lux Figures at a distance of 38cm (15 inches) Medium beam with medium intensity. 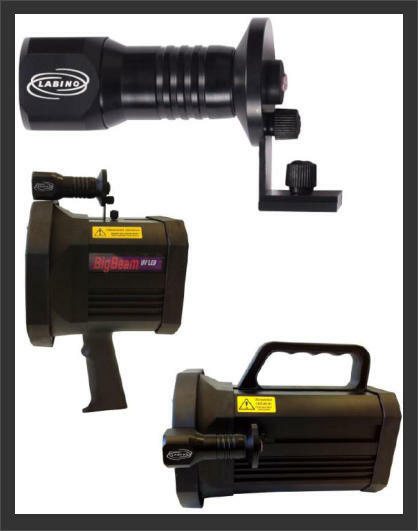 Spotlight • Distribution angle (beam) 3° • Intensity = >45,000 μW/cm2 (450W/m2) • Beam Ø >1,200µw/cm² = 125mm • Visible Light = 10 Lux Figures at a distance of 38cm (15 inches) Narrowest beam but highest intensity. EnLiten - White LED After Inspection Light (add on optional accessory) Labino’s mission is to improve the working environment of the operative NDT engineer and create precise instruments that helps identify the defects. Labino now offers the first white light LED for after inspection especially designed for MPXL lights and BB Series. The Labino EnLiten (L2001) is a small-sized, Lightweight white light LED lamp designed to be mounted on a Labino MPXL lamp or Labino BB Series. The Labino EnLiten is designed to be used as an after inspection light (to search for indications) performing NDT. The lamp is easy to mount on your existing Labino BigBeam or MPXL light as it easily slides into one of the tracks on the side or on the top of the Lamp. The small white light accessory lamp is easily mounted on the MPXL or BB Series in a few minutes. The Labino EnLiten contains one(1) light emitting diode (LED). 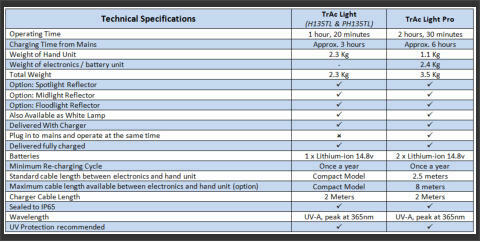 The LED creates more than 300 Lux (27.9 foot Candle) at a distance of 38cm (15 inches). Full power is reached instantly. The on/off button is positioned in the back of the lamp for easy activation. At full charge the battery provides up to 1.5 hours of use. Recharge from a normal outlet with the included chargers. (approx. 2hours). Weight including battery 121 grams. The Labino EnLiten (L2001) is a small-sized, Lightweight white light LED lamp designed to be mounted on a Labino MPXL lamp or Labino BB. The Labino EnLiten is designed to be used as an after inspection light (to search for indications) performing NDT.